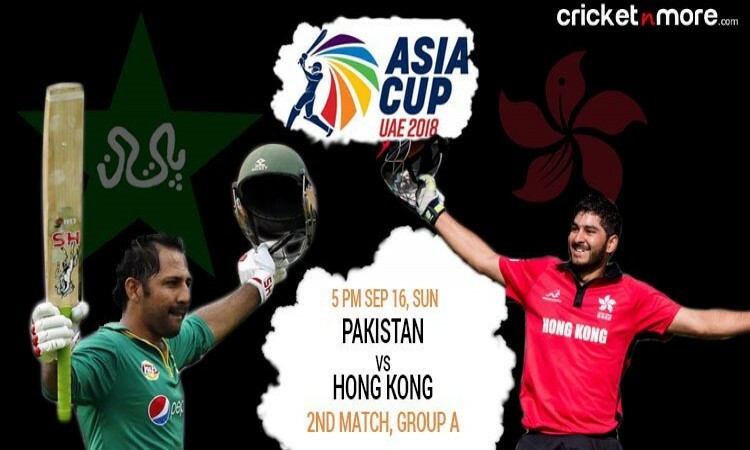 The last time two teams met was in the 2008 Asia Cup when Pakistan put on 288/9 in their 50 overs and then went on to bundle Hong Kong out for 133 in just 38 overs to win comprehensively by 155 runs. Hong Kong comes into the tournament straightly from the win in the final of Asia Cup Qualifiers held in Malaysia. Going with the previous record and the strength of the current team, Pakistan will have an upper hand in the match. Sarfraz's side are coming into this tournament on the back of a 5-0 ODI series win against Zimbabwe and will aim to replicate it during the Asia Cup as well.